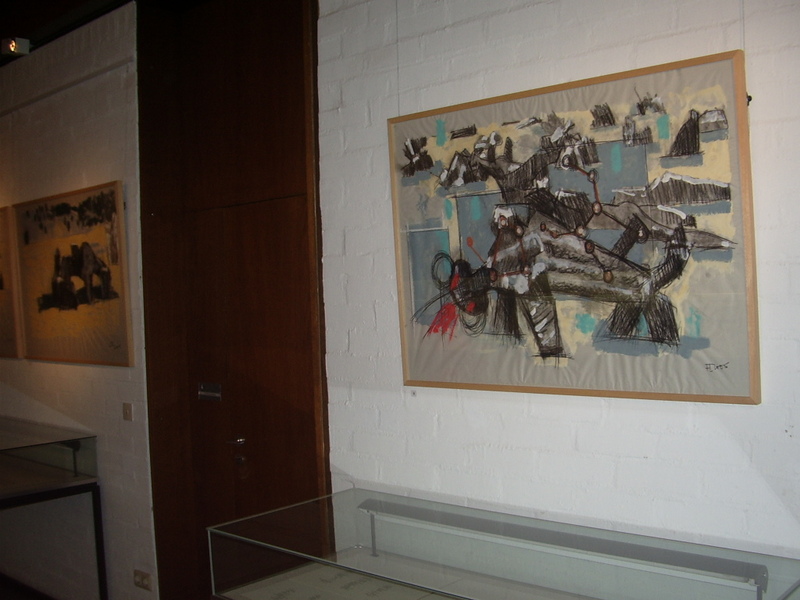 Near Eichstaett, a large number of more than life-size sculptures by Alois Wuensche-Mitterecker form a unique example of "land art" which can be taken as his most important legacy - clearly also a statement against the absurdity and inhumanity of war. 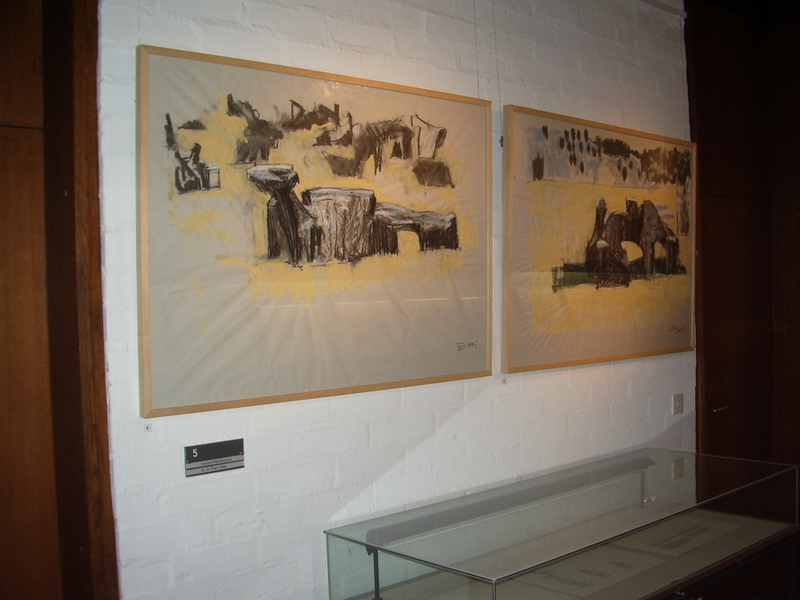 Three artists, Luc Piron from Leuven (Louvain) in Belgium, Angelo Evelyn, a Canadian expatriate artist living and working in Rotterdam (NL), and Li Portenlaenger (Eichstaett) were inspired by Wuensche-Mitterecker's Figurenfeld or field of sculptures. 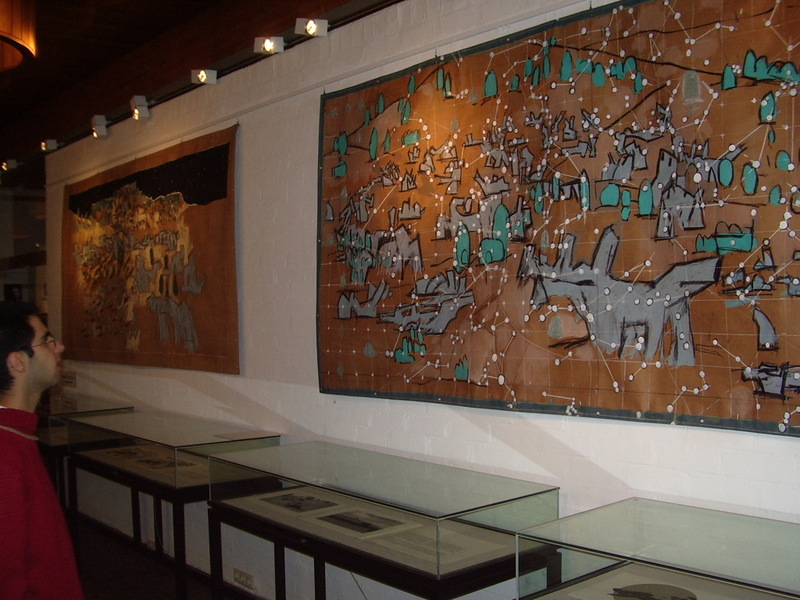 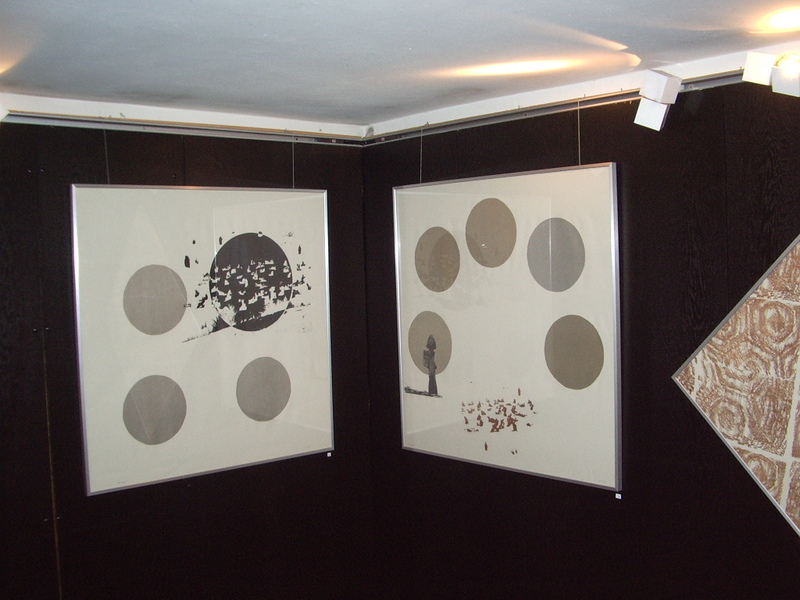 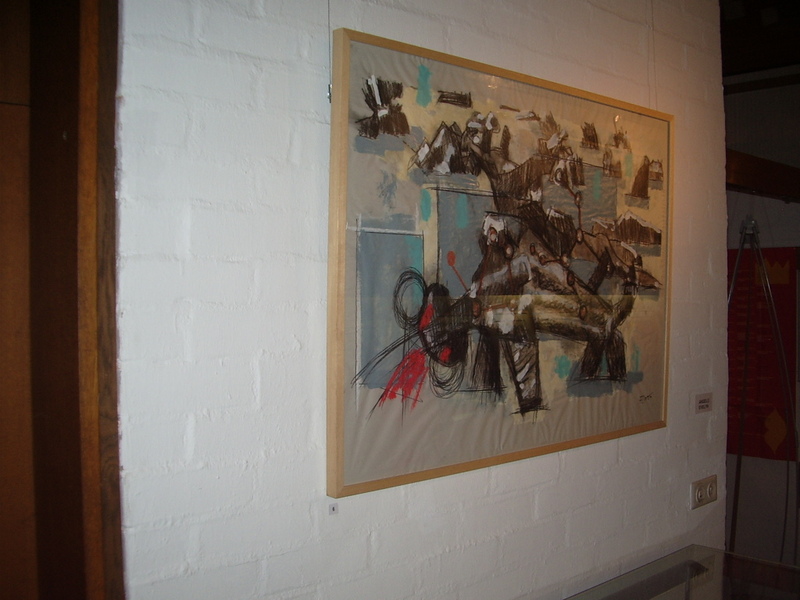 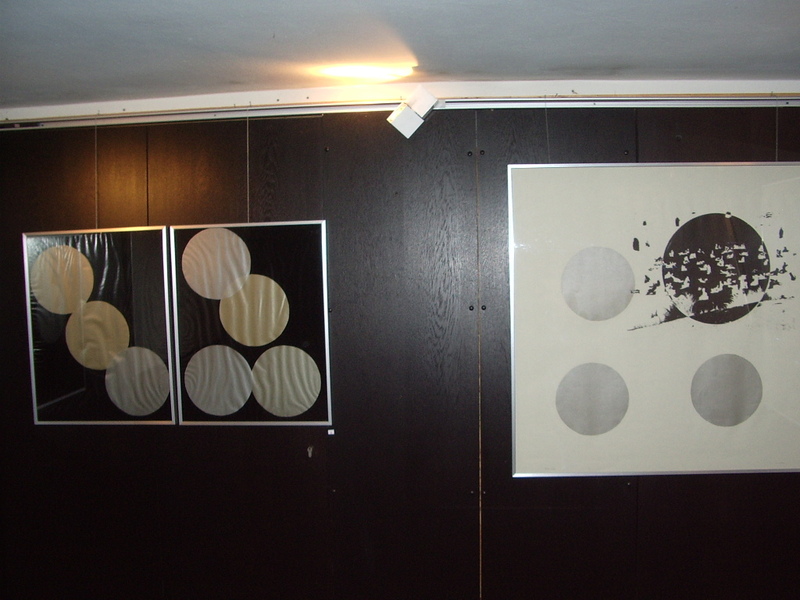 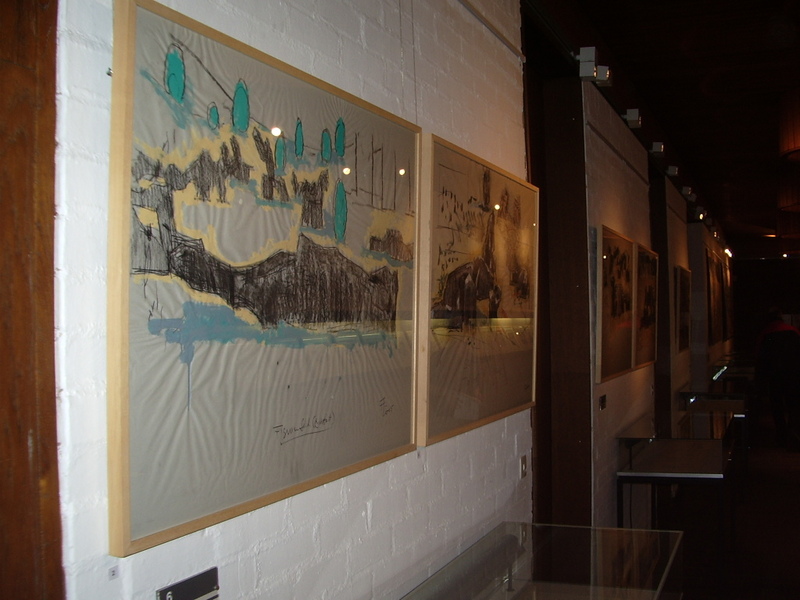 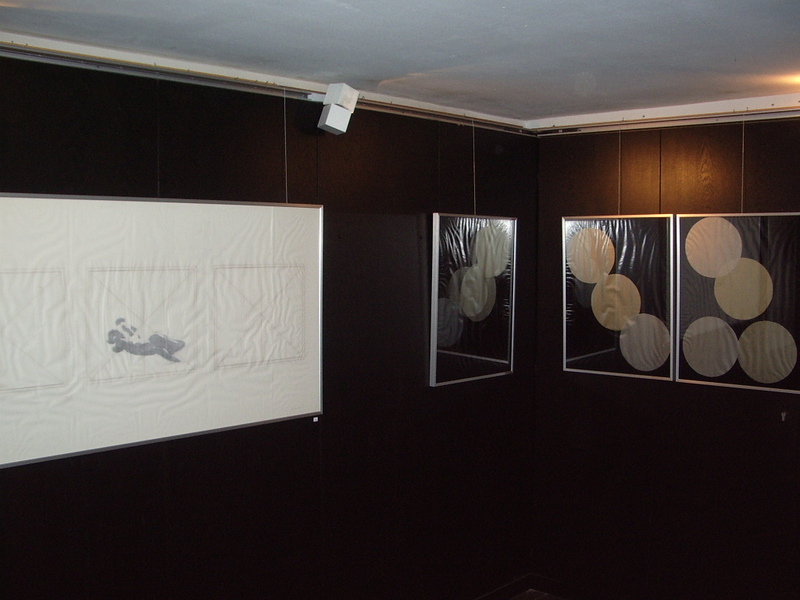 They created lithographies, mixed media works, computer art etc., departing from their "on site" experience of the ensemble of scupltures. 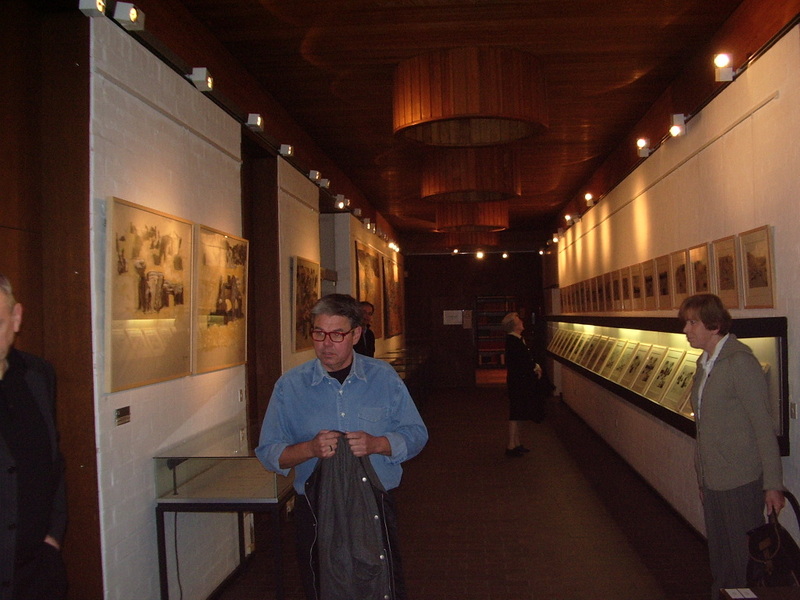 A third person, the poet Andreas Weiland, wrote German and English poems during two brief visits of the site. 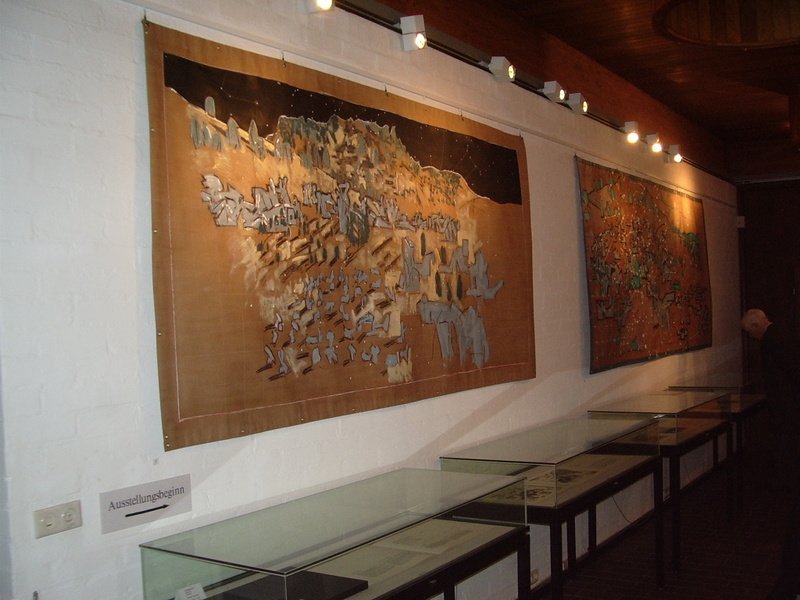 An artists' porte-feuille or "Kuenstlermappe" was produced by them, including two original art works of each artist, as well as the poems. 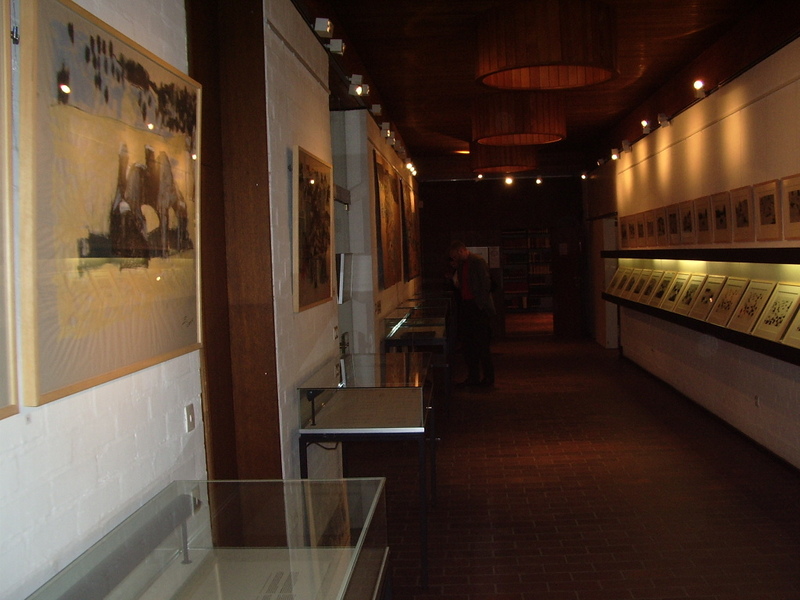 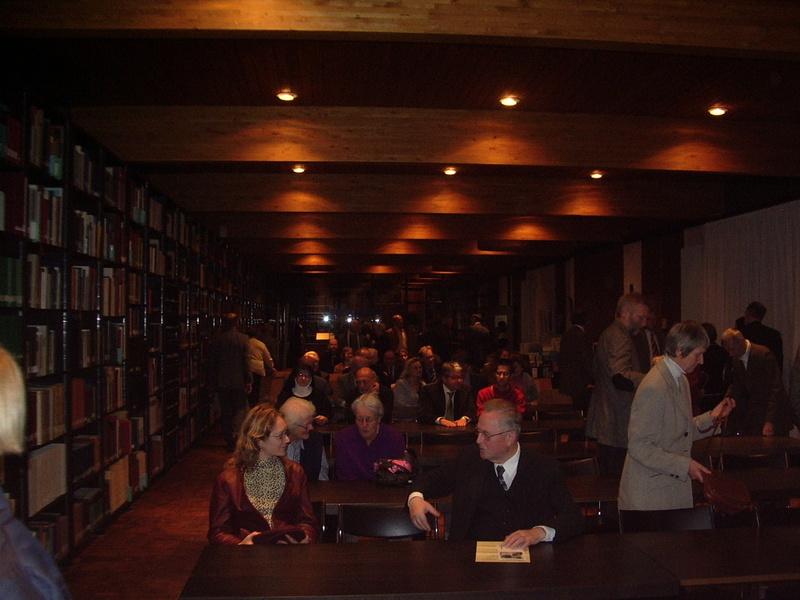 Subsequently, two exhibitions were organized in Eichstaett, one of them on the premises of the university library of the CATHOLIC UNIVERSITY, the second at the LITHOGRAPHIE WERKSTATT EICHSTAETT. 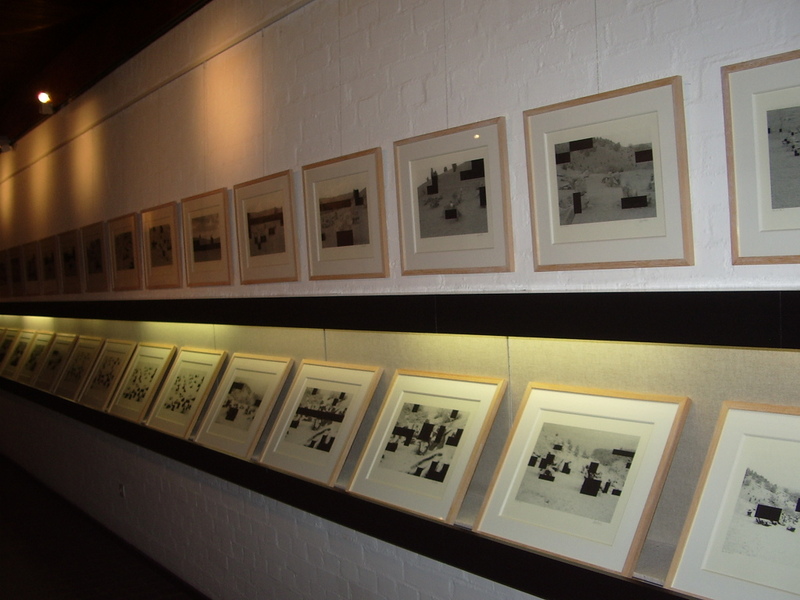 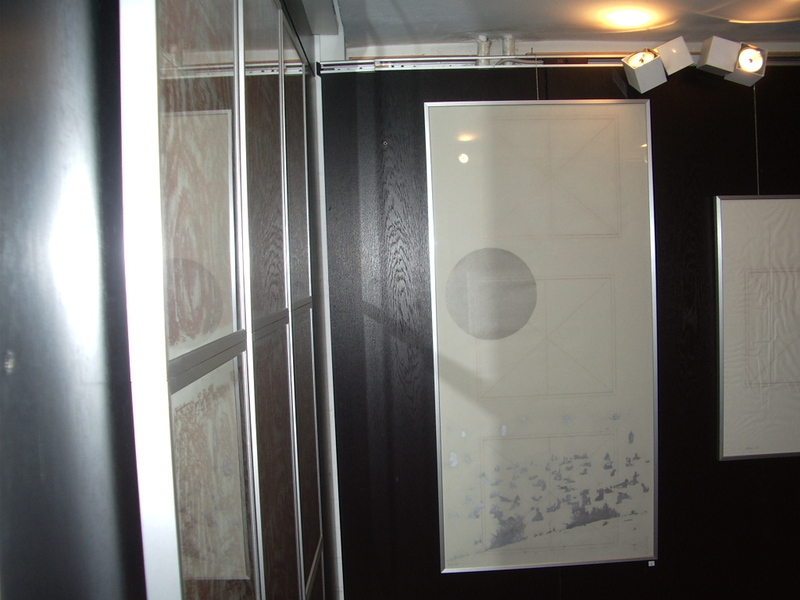 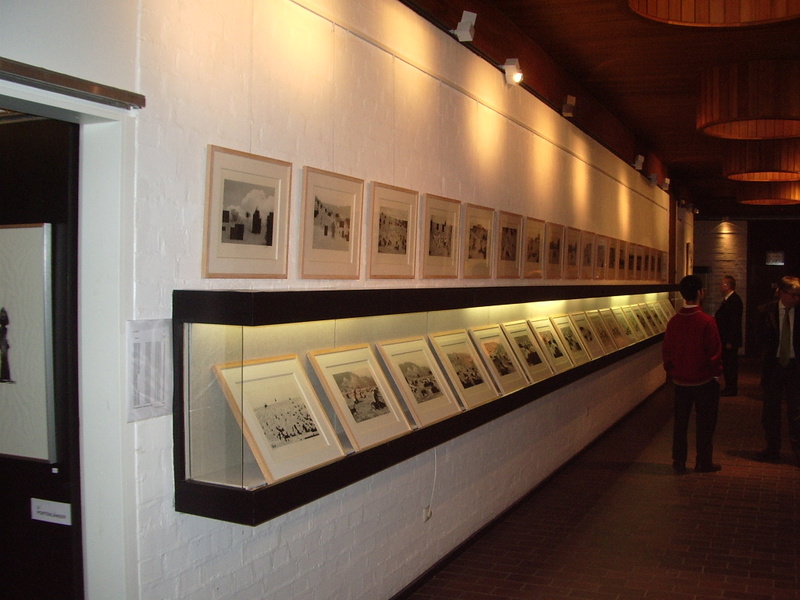 The images presented here document the exhibition at the university library.